TIME FOR N.E.S.A.R.A. & G.E.S.A.R.A. All kind of revolutions are taking place across the planet right now. I dreamed about one of them last night.I was somewhere in Belgium. It was a peaceful revolution.No anger. We all have understood the power that comes from within with meditation. Now nothing can hold us back from drastic changes in our systems that will uplift us to The Golden Age. Everything is planned divinely,the more we are connecting with Our Supreme Creator,the more this knowledge gets rooted in our Hearts as we understand That We Are God & Goddesses Creating Creations in the Now. We are Responsible of the outcome of what we wish to experience. When we Meditate we connect with The Divine Consciousness,then we know which step to take each and every moment as we surrender in being Infinite Love&Joy. This is to finish with Victory of Light and Liberation Of Humanity on the surface of Earth. And this starts with the implementation of a new prosperity system called N.E.S.A.R.A. in The United States of America to become G.E.S.A.R.A. across the world. To know more read below the message from The Galactic Federation via Sheldon Niddle .Here is also a Tech House Dance Track i produced attuned on the natural frequency of 432 HZ along many other well being frequencies named :N.E.S.A.R.A. He was asking me:Why Did I Come To This World?In German. Of cours i already knew the answer and this answer is contained in the message you are about to read here. And I couldn’t find a better way to finish off this track. Of course i tried to explain to the drunk man but he has drunk and couldn’t quite understand all i was trying to express through my not perfect German. The Galactic Federation via Sheldan Nidle, May 31st 2016. Selamat Jalwa! Some great changes are on the horizon! Those who are swiftly putting the new NESARA republic together are very close to completing this arduous project. It is the goal of these diligent patriots to accomplish this as quickly as possible. So far, the first part of a general two-part funding is now finished. The next part is hopefully to be completed shortly. According to those in the know, once all administrative funding is complete, this NESARA republic can be formally declared. This project is to formally end the Federal Reserve and force the 1871-formed de facto government to go out of business. This act alone permits every American to emerge from under debt slavery and begin to move quickly to the status of a free and prosperous member of the new American Union! This process also enables the Pentagon to quit wars in many parts of this globe and, for the first time since the end of the Vietnam War, to return all its soldiers to the continental United States. Peace is to be restored to this globe and a new gold-backed financial and monetary system is to be the norm. Hence, the divine decrees of Heaven are to manifest on Gaia. 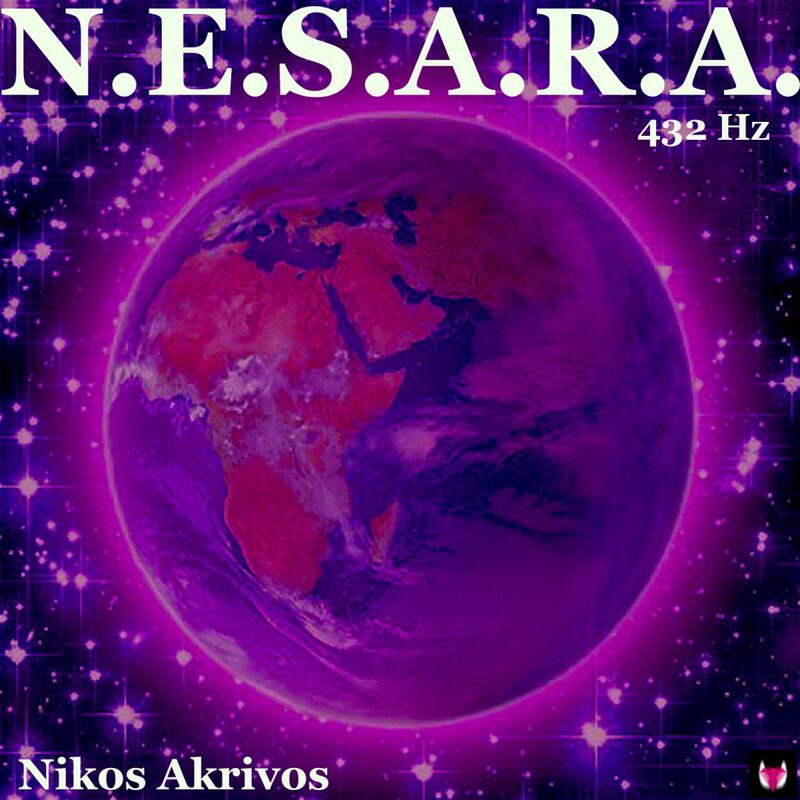 These wondrous changes are to help the concepts of NESARA spread across your globe. These new governances are to allow the worldwide UFO cover-up to finally end. We intend to use this new approach to us to be the beginning for a general series of communiqués between these new governments and us. Heaven has set up a timetable for this moment in your history. Your governments are to start to release a whole host of technology that has been sequestered for over a century. This technology is to be augmented by what we have to offer you. We ask that all of these inventions be used, firstly, to clean up Gaia’s air, water and earth. It is essential that all of Gaia’s numerous ecosystems become thriving elements again. This one development can end the immense cycle of extinction that has plagued this orb for the past eighty years. This is an excellent means to introduce your global commitment to forge a successful and truly pristine world. This enables you, moreover, to begin your humanitarian projects in a reality dedicated to a reunion of humanity with its spiritual and space families. As your history turns toward new possibilities, you require a means to better understand what is to happen. Long ago, the Atlanteans stripped you of all the answers that you daily ask about yourselves. Your history was well manipulated by the dark and their friends, the Anunnaki. The moment when the mentors are to arrive is to be the time in which your many quandaries are to be answered. They are to be answered, first, by lessons of the Ascended Masters and then by our mentors. The answers are to set straight what the Anunnaki so brazenly and falsely twisted one way and the other. This is to end the crazy beliefs that each of you adopted from the acculturations that you acquired from your parents and friends and from the “preachers” that you have met since. What we are simply saying is that you are to be able to bring to light a new way that is part of vast documentation pulled for your benefit from Gaia’s Akashic records. This new wisdom is to give you a truer sense of what has befallen her since the last days of Atlantis. All of the numerous bits of vital information are to become a living history of who you are. What is needed is to begin the next part of your move to full consciousness. The many ascension symptoms that you encounter daily are a small yet extremely necessary part of this grand process. What is occurring is more than a new reality highlighted by new governance and a wondrous prosperity. It is the growing number of possibilities that you are presented with every day. You need to take this all in and from it learn a practical type of inner discernment. The key is to start to recognize yourself beyond what your old beliefs create. You are in an operation that is destined to forge a “New You”. This Being is firstly to be a Being between worlds. It can be confusing. That is why first the Masters, and then our mentors, need to explain the many new realities that you are to encounter. This is a procedure that is to greatly challenge your beliefs and then explain why you are here. Out of this is to come a new set of conceptions essential for you to move into full consciousness. Namaste! We are your Ascended Masters! Your world is gradually changing as the dark ones who used to run this unholy reality start to fade from this world. We thank you, dear Hearts, for what you have accomplished with help from our extraterrestrial and inner world cousins. They have taken your marvelous visualizations for a reformed reality and ramped them up to a point where this heinous reality can be reformed. These changes are hence the joint works of many of us. It is these wondrous energies of yours that are the foundation for those energies that are now transforming this realm. This fantastic set of changes is making possible a number of adjustments to your surface world. The major one is, of course, the change to your financial and governmental systems. These alterations are to free you from your debt slavery and an onerous loan system. This freedom is finally to allow you to reach your full potential and become the amazing Beings that you truly are! We Masters are forever grateful for what Heaven has done to end the long reign of the dark upon this realm. The Atlanteans and their dark allies intended to reduce us to the level of permanent slavery. Atlantis fell long before this criminal deed was accomplished. Over the next 13 millennia their successors again failed to complete this task. Now Heaven is moving all of you back to your former status. It is our divine privilege to oversee all of this. Every one of you is making progress toward this most noble goal. This realm is being flooded with the births of crystal children who are here to stabilize this realm and add their beautiful energies to yours. We are using their visions and yours to remake this realm and ready it for the arrival of your space families. Our coming lessons are to further amplify these new energies. It is all leading to a most miraculous time! Heaven has pledged to us that this final crooked time is not to last long. Events are underway to “seal the deal.” Heaven is assisting a number of factions to ensure that your promised blessings are delivered in a proper and divine time. These coming events are to set off a large amount of activity and to redo this realm forever. Once your miracle of physical Angelhood is achieved, this realm is to assist this galaxy in transforming the formally dark “children of Anchara.” This is to permit this galaxy to turn to the Light and further aid others in spreading this joy throughout this vast Universe. It is this destiny that we have known about for many generations. Our primary mission is to prepare each of you for a most astounding transformation. Ever since our first ceremonies that made us Ascended Masters, we have longed for what is now occurring. We ask you to be positive and to do what is necessary to accelerate these changes.